Teamwork Workshop hosted by the UMass ROTC. If you have ever been on a team that “didn’t work well together” you understand the importance of learning teamwork skills. 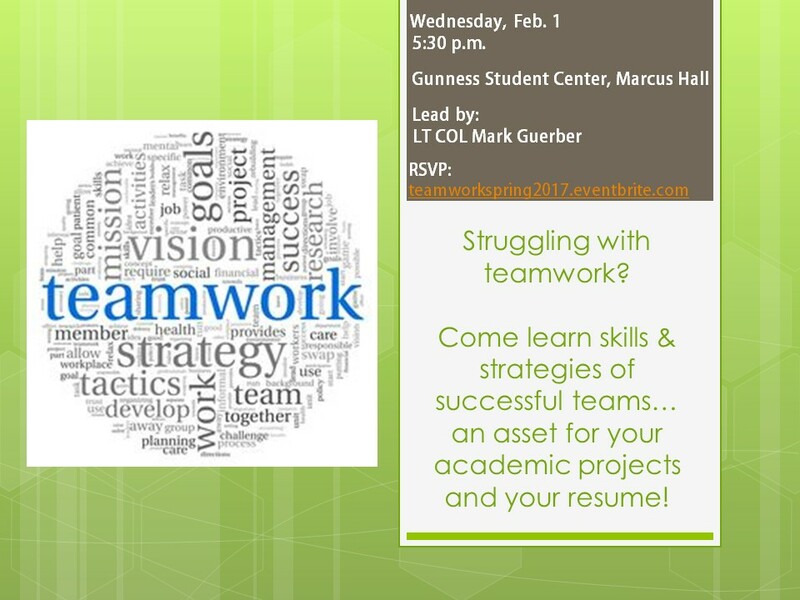 Employers consistently list teamwork as one of the top 5 traits they are looking for in candidates, so please plan to come out and learn actual teamwork skills and strategies that you can use in future teams.